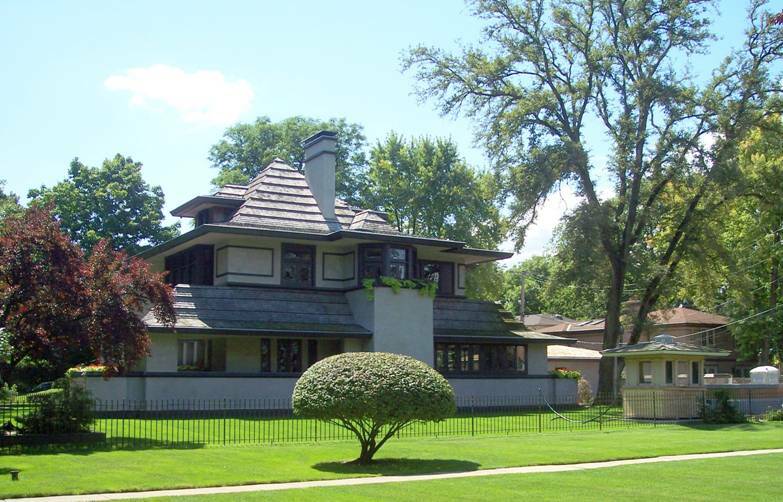 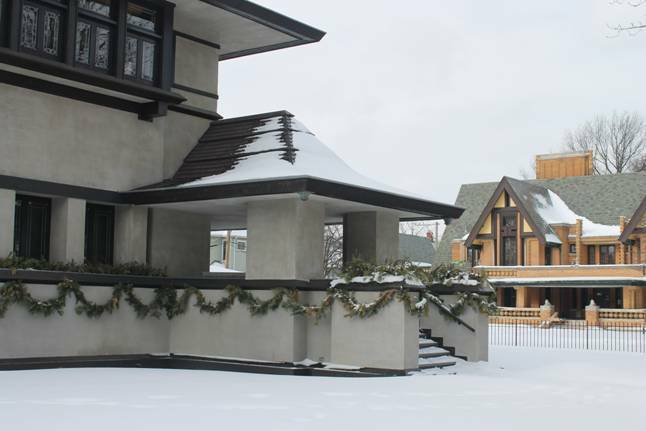 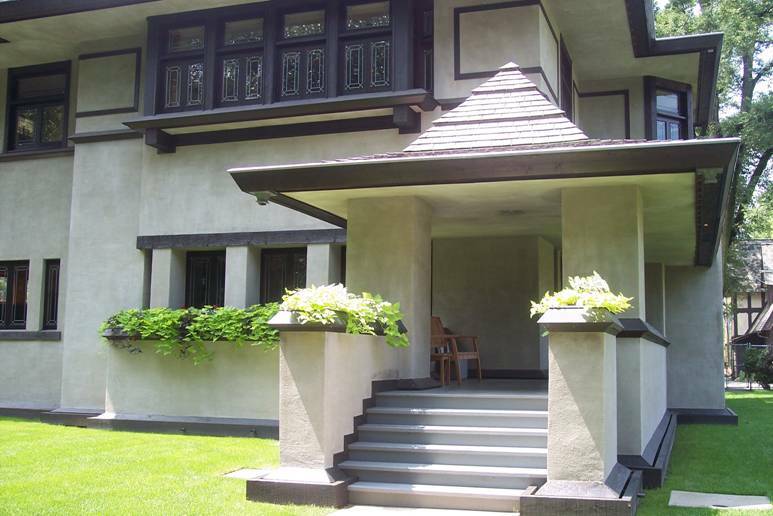 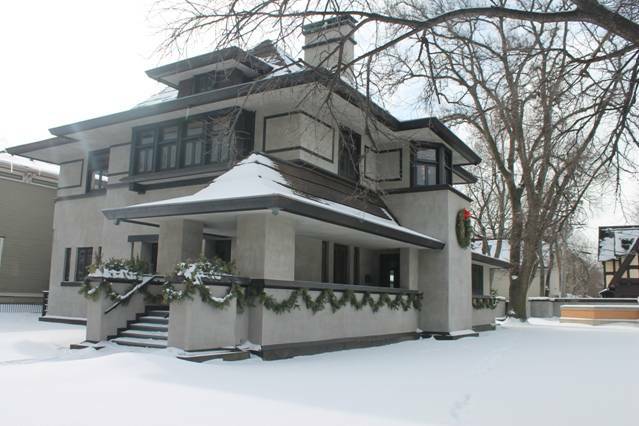 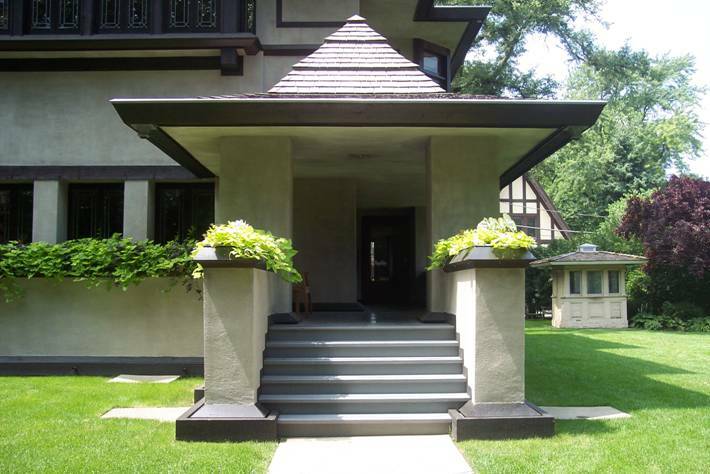 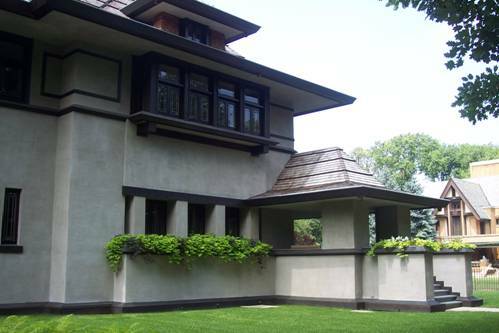 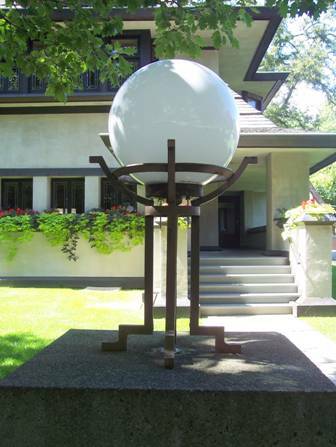 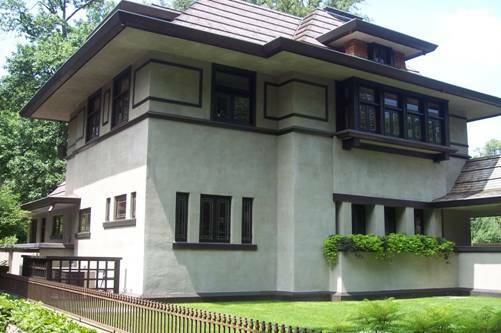 This house is a few doors down from the FLW home and studio, amongst several Wright projects. 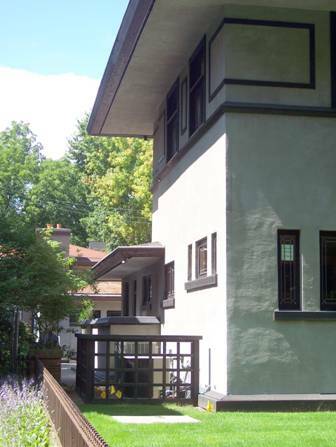 This may be one of the more “conventional” identifiable Wright designs in the neighborhood. 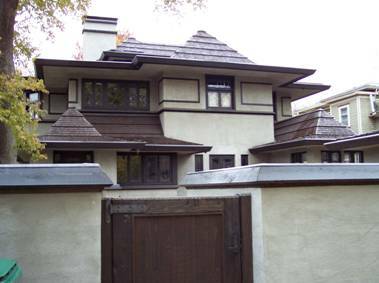 Compare it, for example, to the Huertley Residence (#74) and the Moore Residence (#34). 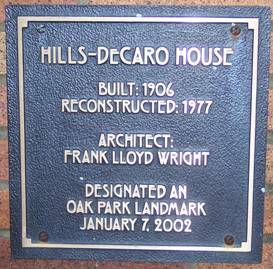 The house was extensively damaged by fire in 1976, leading to reconstruction in 1977 by the DeCaro family (as noted on the plaque below). 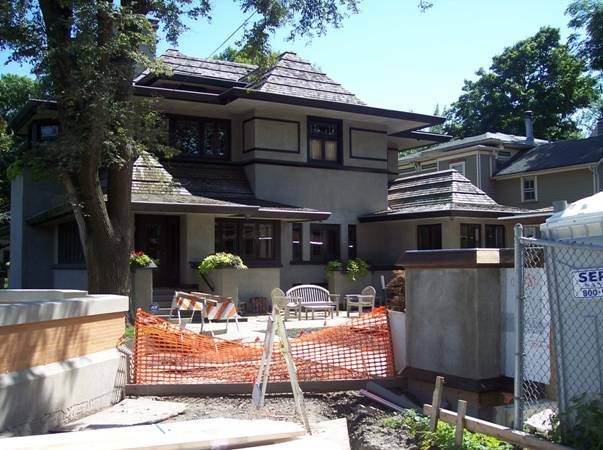 This is listed as a remodeling project. 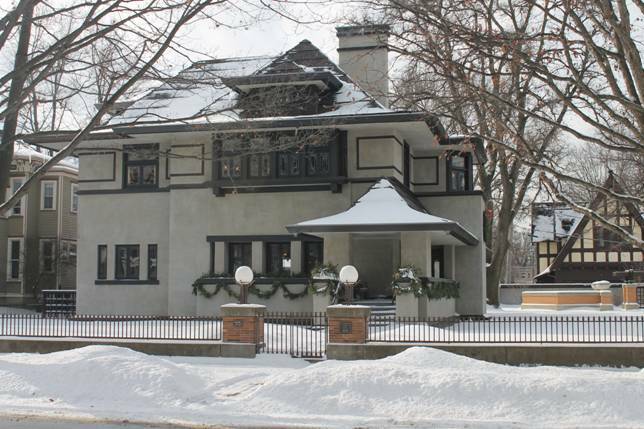 The home was purchased by Nathan Moore as a wedding gift for his daughter upon her marriage to Edward Hills. 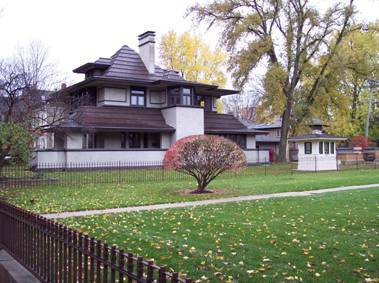 It was originally in what is now the back yard of Moore’s residence, and was moved a short distance to this location. 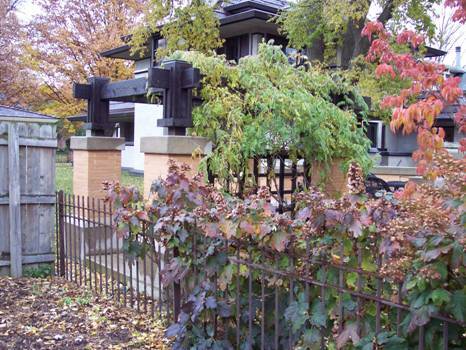 Photographed in August 2008, August 30, 2009, November 11, 2013, & January 26, 2014.